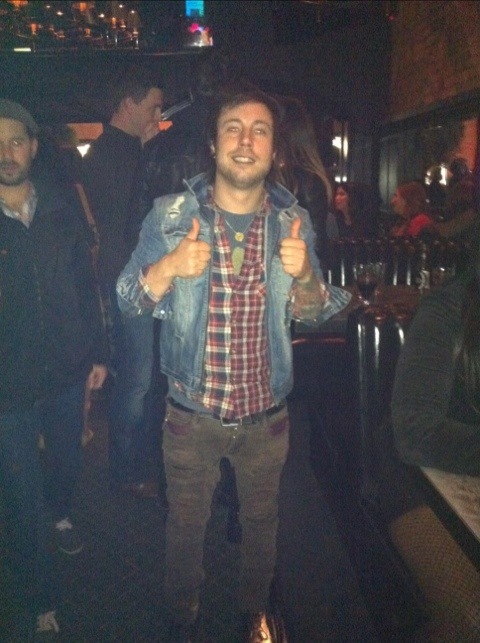 I saw John Keefe of Boys Like Girls last night at Darkroom in Los Angeles rocking a very cool Canadian Tuxedo. The Love Drunk drummer was in some Zara jeans with an amazing stitch treatment and an H&M jacket. This entry was posted on Saturday, December 10th, 2011 at 4:04 pm	and tagged with Boys Like Girls, Canadian Tuxedo, Darkroom, Denim, double denim, Fashion, Girls Like Boys, H&M, John Keefe, Los Angeles, Love Drunk, Melrose, Music, Vintage, Zara and posted in In The Wild, Music. You can follow any responses to this entry through the RSS 2.0 feed. « Winter Sale at Denim Refinery!